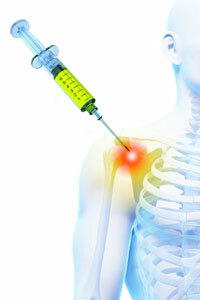 Inflammation in the shoulder can often be treated with corticosteroid shots. These shots help to reduce the inflammation caused by conditions such as impingement syndrome, damaged rotator cuffs, and others. With the pain alleviated, you should experience greater mobility in the arm. Your doctor may follow up the shots with recommendations for physical therapy.